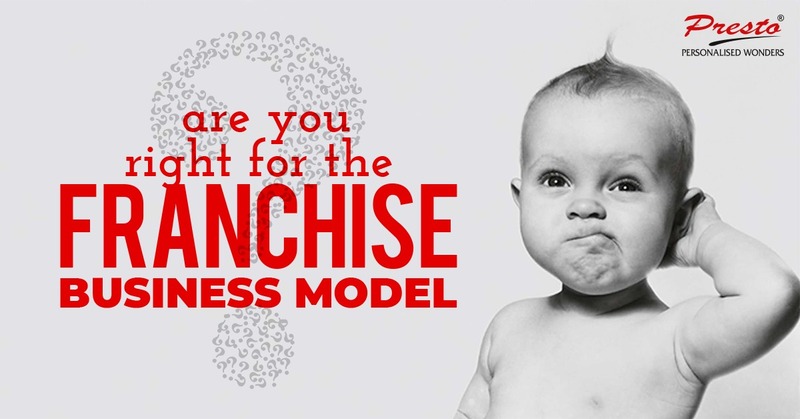 Presto Franchise Are You Right For The Franchise Business Model? 1. Business franchises: In a business franchise, the franchisor expands its business by allowing the franchisee to use the brand name. This is famous with the most reputed brands as they have a already established brand name for the franchisee persons to start with. Product franchises: In this type of business, the franchisee focuses on selling products or providing services on a particular trade field by using the brand name of a well reputed company having a goodwill in a specified field. Manufacturing franchises: The franchisor under this system, allows a franchisee to produce items using their brand name and trademark. In this the franchisee can produce and sell the same product with the established brand name. In Presto, we focus on business franchise as we let our franchisee to enjoy their own independence in a business at a comfort of using the established brand name and business plans. Presto offers a low cost investment franchise business with a scope of earning huge profits over the time. There are too many franchise opportunities in India but the gifts sector is too new. Hence, it’s a very eye-catching business that can gain a lot of customer’s attention. Presto’s high quality product and best services make it the best franchise business one can imagine for to start a business with low investment.